Following a low carb diet can be challenging when you don’t have a lot of time to prepare breakfast. And who wants to get up extra early and cook, especially when you already get up pretty early just to take care of everyone and get your day started? It’s really nice to be able to enjoy a nutritious breakfast that doesn’t take too long to make or require extensive preparation. So I have put together a list of healthy low carb breakfast ideas for people with busy schedules. Some of these require you to do a little bit of prep on the weekend so you have what you need for the week, but once you’ve done that, weekday low carb breakfasts will be a breeze! For more great low carb breakfast ideas you can follow my Low Carb and Low Carb Breakfast Pinterest boards or pick up a low carb cookbook from Amazon. There are so many great options as more and more people are coming to recognize the benefits of low carb diets. This is a dream come true! A low carb English muffin???? This is life-changing for those of us following a low carb diet. You can make a bunch of them ahead of time and toast one each morning. Add a schmear of butter or full fat cream cheese and you have a satisfying low carb breakfast that will help you forget that it’s even low carb. You will need some special tools for this, although the author does have some alternatives for making these in the oven. You can check out the bottom of the post right above the recipe for links to the alternate. 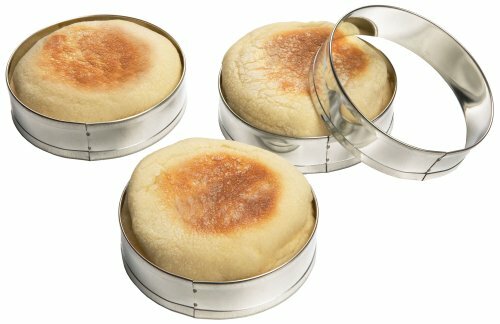 I just ordered the English Muffin rings for myself, I can’t wait to try this recipe. My daughter eats 1/2 an English muffin with a poached egg on it every morning, I’d love to get her to be eating this low carb version instead. Low carb granola is chock full of crunch and healthy ingredients. It can be enjoyed as a snack or with some unsweetened almond milk for breakfast. You can also use it as a yogurt topping, just make sure to choose unsweetened full-fat yogurt. Grass-fed where possible. This recipe calls for a natural sweetener which I’m willing to bet you can omit. There are a number of different ways to make low-carb granola, this one uses a slow cooker which I don’t have so I would try it in my enameled dutch oven. Other than a cookie sheet for cooling, you don’t need any other specialized tools to make this although you may want to store it in large mason jars to keep it fresh. That looks so good, I can just imagine the crunch! This is such an easy way to make fresh eggs every morning. It’s really as simple as breaking an egg into a ramekin and baking it. You can add things like cooked bacon, prosciutto, veggies and the like to the bottom and then let the egg cook on top of it. Make sure to great the ramekins first, or use my new favorite thing —-> olive oil spray or coconut oil spray . Love it! I get mine at Whole Foods and it’s fairly affordable. 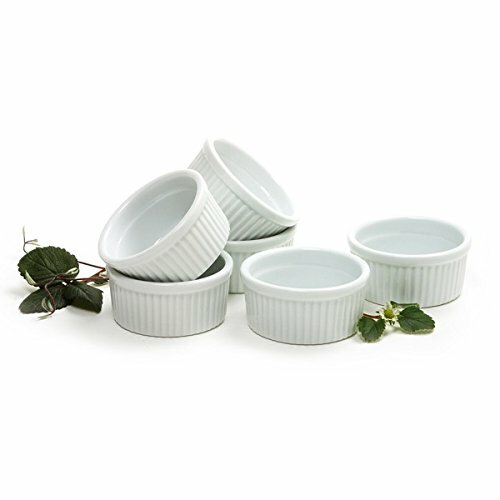 You will also need a set of porcelain ramekins that are ok to bake in. 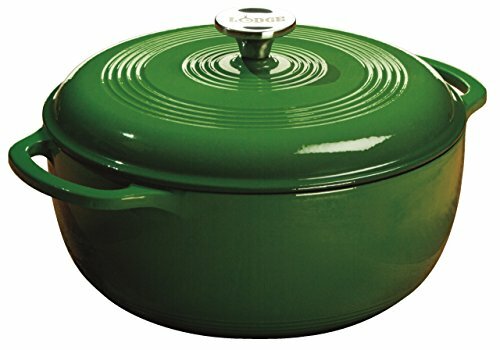 You can get really cool ones in all sorts of coordinating colors or just pick up some basic white ones. They are really affordable too. We use them for so many different things around here so they get a lot of use. These low carb mini quiches are perfect for busy mornings. Make ahead for grab and go! These can be stored in the fridge and reheated quickly in the oven or microwave. Or, like the breakfast cookies, you could enjoy them cold if you prefer. Change up the ingredients and make batches of different recipes for variety through the week. This recipe uses a greased muffin pan, although you could probably use cupcake liners if that’s easier for you. Just get the unbleached cupcake liners without the colors. You can use a traditional sized muffin pan, or use my favorite – cast iron. 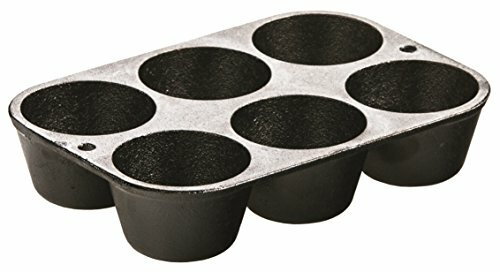 The cast iron muffin pan has the larger sized openings so you will get fewer “muffins” from this recipe but the author says she usually eats two of these for breakfast, so this way you’d just enjoy one larger one. These look ans sound delicious and are perfect for busy mornings. For oatmeal lovers, I think the texture is key and you really have an unlimited variety of low-carb mix-in options for a satisfying low carb oatmeal. You just mix the base ingredients together and heat on the stove with water for a few minutes. Top with your favorite fruit, nuts or other low carb deliciousness. You can make the base “oatmeal” ahead of time and store in cute little mason jars. That way in the mornings you just dump it into a pan, heat and enjoy. 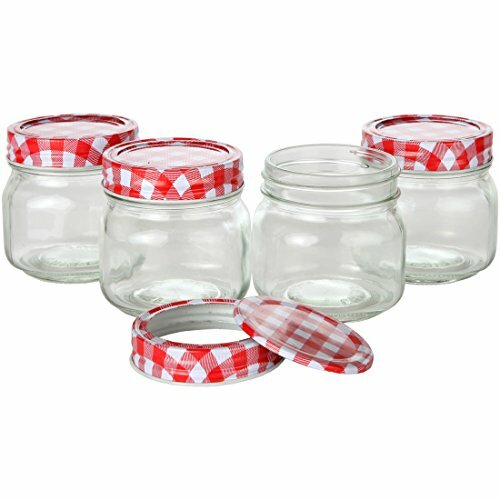 You should be able to make this with the tools you already have but you may want to pick up some mason jars. I love this little stainless steel saucepan for making dishes like this. You can totally make this recipe your own and it’s great for the cold winter months. I bet kids won’t even realize that there isn’t actually any oats in this oatmeal. These low carb cookies can be made on the weekend for the week ahead. Make enough to last all week. You can enjoy them cold or warm them up quickly in the microwave or toaster oven. You can store them in the fridge, or make enough for multiple weeks by freezing batches and pulling them out on Sunday to enjoy all week. To make these you only need some storage containers (I prefer these glass ones ), a cookie sheet and some parchment paper or a silicone baking sheet. I like to use unbleached, sustainable parchment paper. I get it from Whole Foods but you can also get it on Amazon and I’m sure other places as well.